Sunnegga funicular up to Sunnegga. 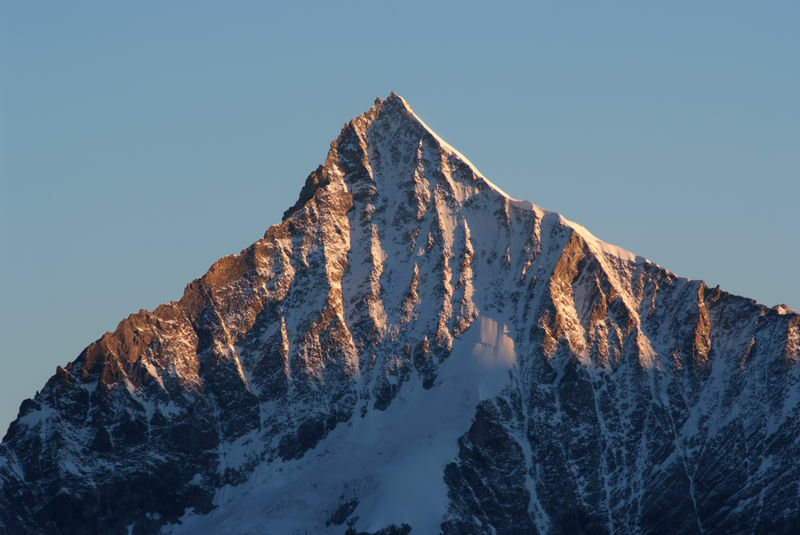 Best view of the Weisshorn. 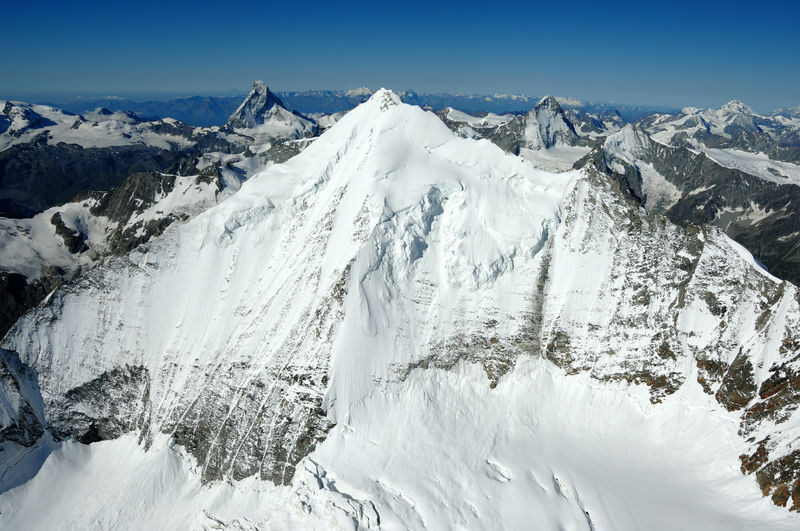 The first ascent of the Weisshorn was on 19 August 1861 by John Tyndall, Johann Joseph Benet and Ulrich Wenger via the east ridge, now considered the normal route. 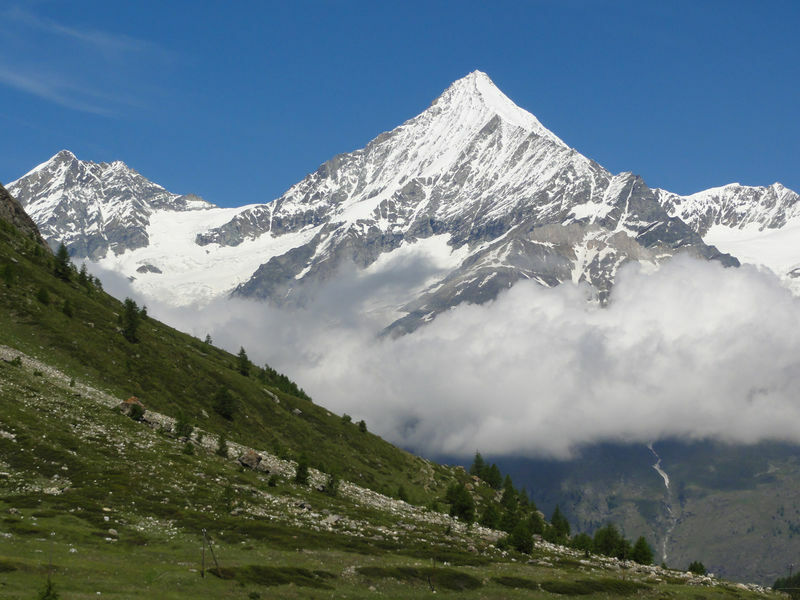 The Weisshorn above Randa is considered one of the most important 4,000-metre peaks of the Alps. 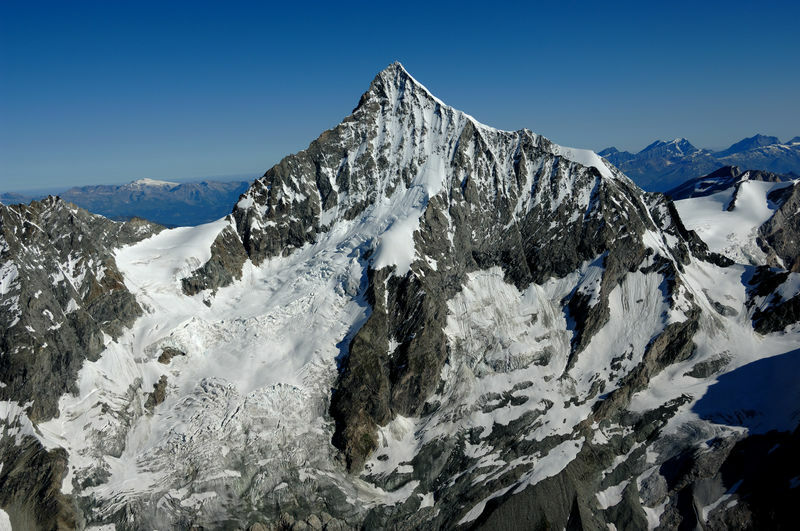 Although it cannot compete with the Matterhorn in terms of appearance, the Weisshorn is still relatively free-standing, and with its three ridges and faces forms a regular pyramid that is actually higher than the Matterhorn. In 2011, the people of Randa celebrated the 150th anniversary of the first ascent, along with numerous mountain guides from the whole region. 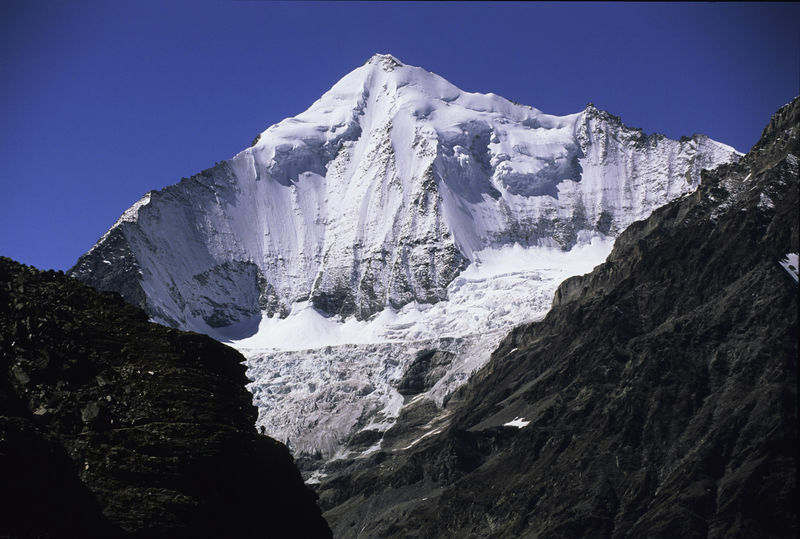 “Weiss” means “white”: the north-east face of the Weisshorn, clearly visible from Randa, is always covered with snow. 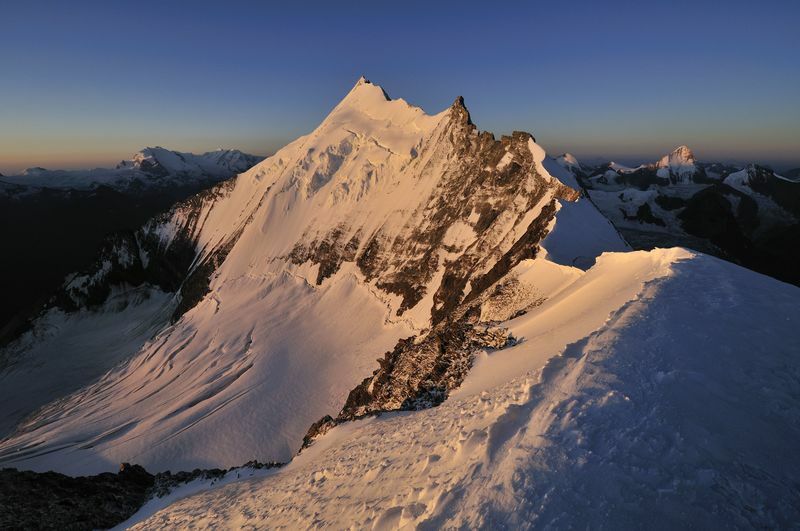 2011 was a special triple-anniversary year for Luzius Kuster, the warden of the Weisshorn hut. 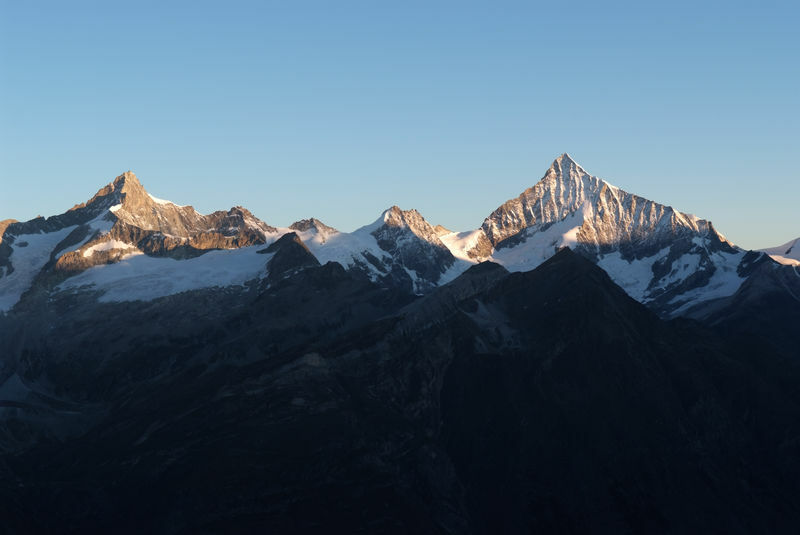 The Weisshorn was first climbed 150 years earlier; the Weisshorn hut had been open 111 years; and Luzius celebrated his 45th year as warden of the refuge. He first came to the cabin as a 20-year-old in 1966, staying for the summer “out of love for nature”, and remained – not least due to the generosity of his employer, who allowed him to be absent during the summer for several decades.